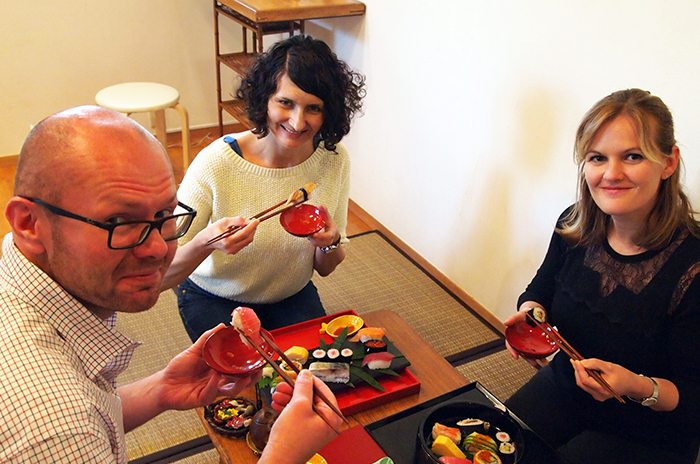 Japan lovers, Japanese food styling and culture all over the world! One day lesson for all the foreigners. You can choose a favorite class. 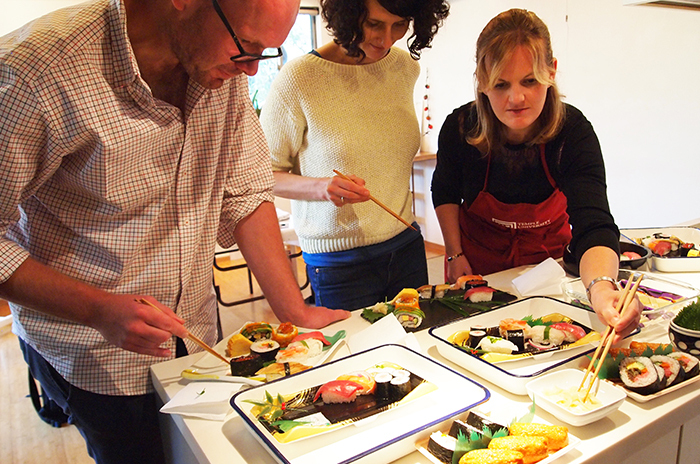 Learning not only Japanese food but also our culture. After you participated our class, you will receive an original ambassador notebook. 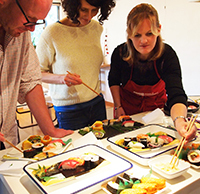 You can spread your knowledge of Japanese food styling and culture to your friends with confidence. 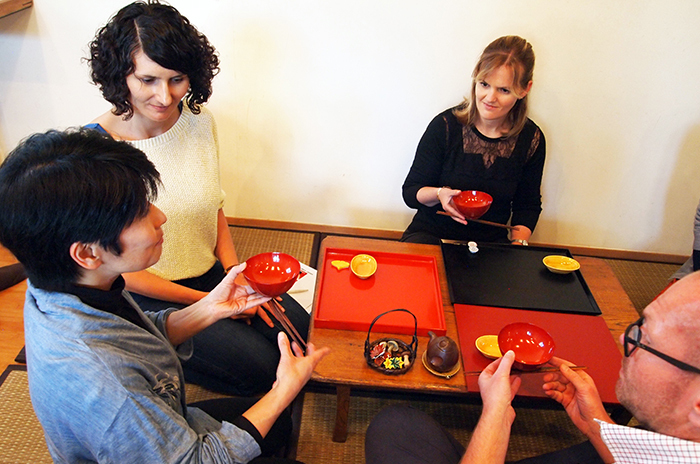 ●For foreigners classes, has a translator (English, Spanish and Cantonese are averable). By request, we can pick you up from nearly train station possible. For international students, 3hours classes with reasonable tuition fees. This classes are all in Japanese, need at least one person must speak good communicating level Japanese including 4 people attendants minimum. If you need a translator, it will be extra charge. Please contact us. 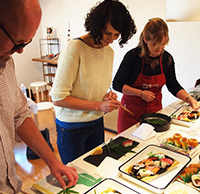 This classes, Come our studio directly which takes 8mins from Umegaoka train station by walk. 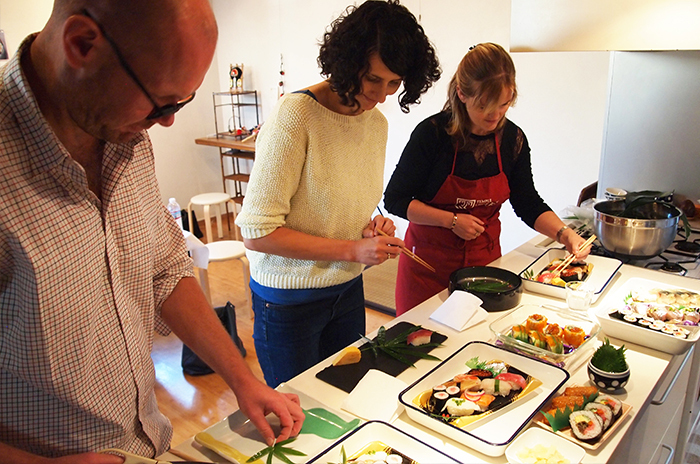 Sushi class To learn Sushi history and types. Variety of presentations. Choosing plates by grades and rules. 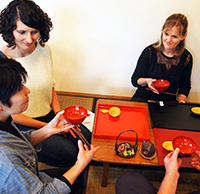 (Japanese traditional sweets ) To learn wagashi history and types. Variety of presentations. Tuesdays or Thursdays If you have preferred day, please contact us. 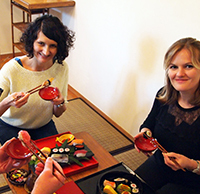 ● For Foreigners /Tourist class　Set up class capacity is 4 people in each classes. ＊If one person, accepted for payment of 2 people tuition fees. ＊The class could be other people to join is possible. ● International students group class　Set up class capacity is 4 people in each classes. ＊If more people, please contact us for consult. ＊If less people, accepted for payment of 4 people tuition fees. Fill all your information needs in our application form. We will correspondence in English.